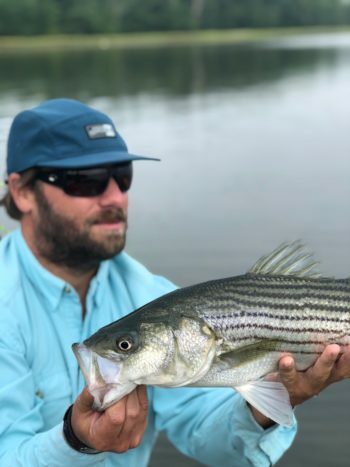 Kyle Schaefer is a fly-fishing guide in southern Maine by summer, bonefish lodge manager by winter and conservationist every day of the year. ← Where Is The Next Generation Of Commercial Fishermen? This ought to be read by anyone that has ever caught and killed a “trophy” bass and showed it off in order to falsely display his testosterone level. The article is dead on. Kyle has done his homework. Somehow we must eliminate the culture of bragging about “keepers” caught and killed and instead be proud of the large stripers we release. 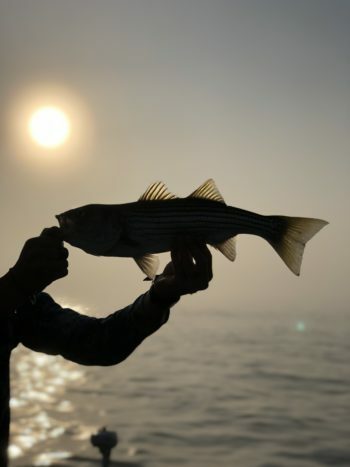 Anyone that kills a large breeder female striped bass in order to boost his self-esteem should instead be ashamed of contributing to the destruction of the species. Maybe, through an increase in public awareness, people holding up large, dead female bass for the camera will be seen as anti-heroes…. the villains they truly are. They are stealing from and destroying the future of this fishery. Thanks Kyle for pricking our conscience. Couldn’t agree more! For those that want bragging ‘rights’ cameras and phones are usually at hand to document the catch. Besides, they haven’t accomplished anything that hasn’t been done before many times over. I thoroughly enjoy striper and other panfish species. Am quite happy keeping a few stripers from 19″ – 30″ for the table. Would support a restriction preventing fish over the lower 30s” from being kept.